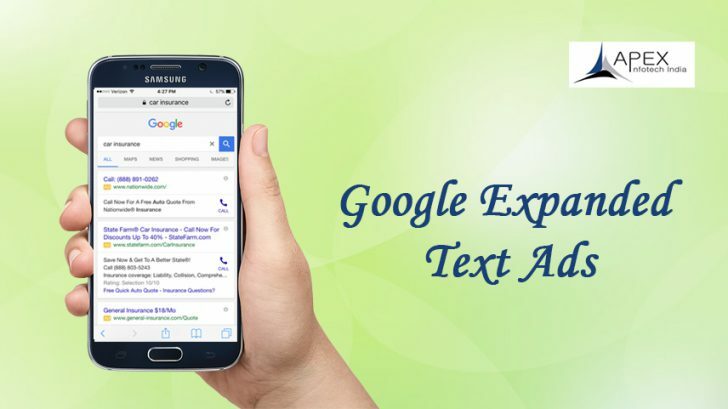 Expanded Text Ads will be placed in Google AdWords. You should be excited as they are a step up. Now ads will be 2 times bigger in word length from the traditional word text limits. What’s changing? Here some things a creative responsive ad team should tell you about expanded text ads! Expanded Text Ads are 2x bigger than the current ones The new ads can be designed to maximize presence and performance on mobile searches. The Expanded Text ads will be shown across all types of devices. This is the biggest change in 15 years. AdWords today uses mobile-first world market, where trillions of searches are conducted annually. Technically the ads are 47 percent bigger! One can create eye-catching and emotional ads. Two 30-character headlines are possible later this year, from the one 25-character headline available today. One 80-character description line is possible in the new AdWords. AdWords will extract the domain automatically from the final URL. Advertisers will be able to add up to two paths to enhance the displayed URL. As more text means better visibility. CTR will improve by about 20% found in studies. Increasing the character counts of headlines and the description of the ads will result in more clicks. Expanded Text Ads will be available to all advertisers old, standard ad format will be phased out on January 31, 2017. Ask your web design team and advisor to help you create responsive ads for display so you are ready for Adwords updated version helping you will all your internet marketing and online presence.